So kill me, I’m late on this one. But I figured better belated than never! I must admit I took the hurricane as a chance to not only catch up on some house cleaning but also as an opportunity to overindulged a bit in the drinking and fun department (what else is there to do really? )…and I think it’s put me off my game a little bit this week, in addition to the fact it’s my first week back working full-time. I guess I’ll just have to treat myself to a vacay in Miami this weekend to continue the bender recover! 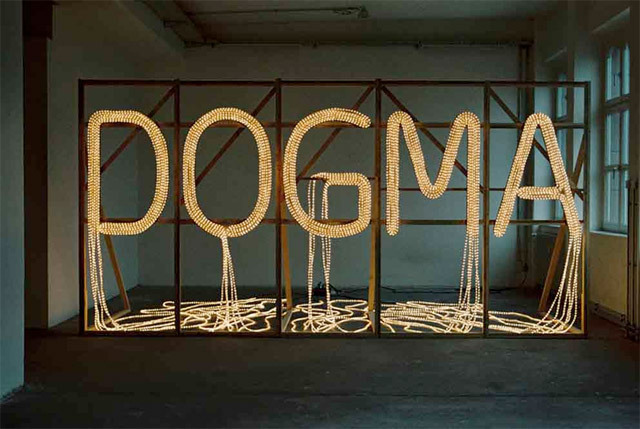 Well, this post is all about typographic installations. I’ve been inspired by this concept for awhile now, and am dying to construct my own at some point. 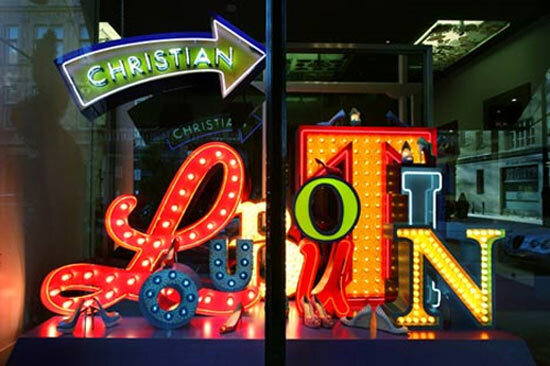 I love the idea of type being constructed by actual, tangible materials…whether it be lights, food, dirt, hair, paint, wood, jelly beans, rocks, you name it…the list goes on. 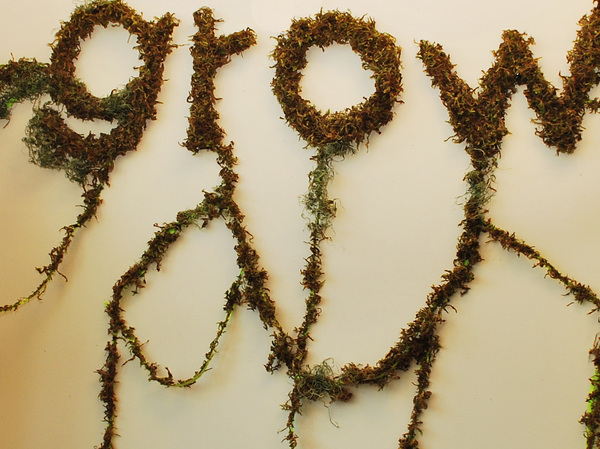 It’s particularly clever when the word speaks to the materials, such as using moss to spell out the word “grow” or actual cream writing “cream,” which you’ll see as examples below. 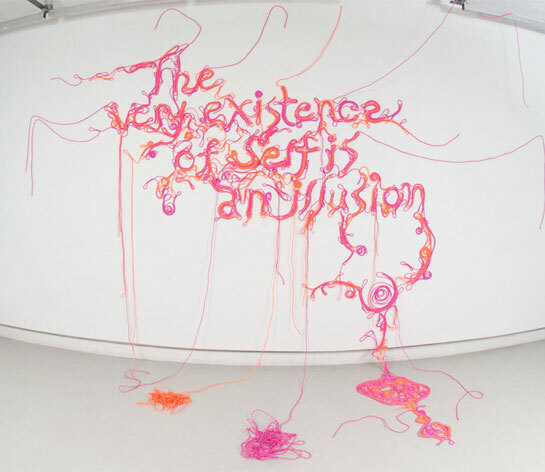 I found various articles on type installations where the type comes to life, and was really struck by this one from Design Taxi. Besides that I just did some google research to find the others. 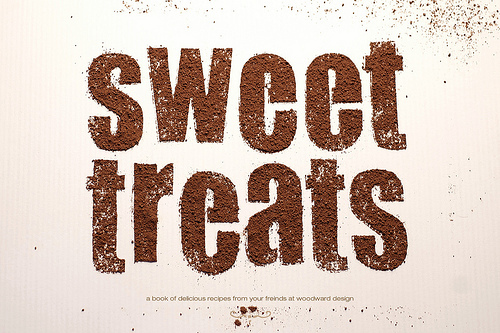 A great type site I stumbled upon is Hello Type, which you really should check out. And, Stefan Sagmesiter is among one of the best installation designers so if you don’t know who he is, get to know him right this very second. 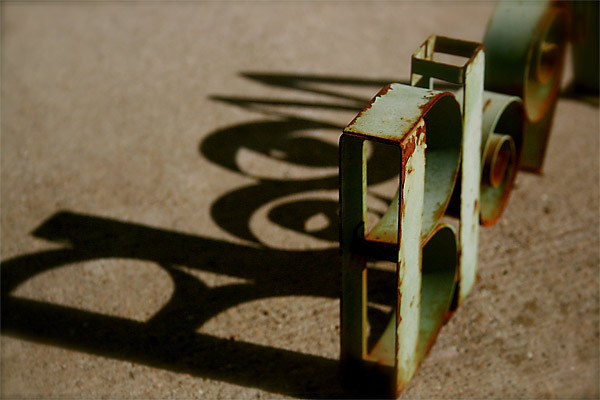 Also, check out this great video clip (“Typography is Everywhere”) my design buddy, Nickolena, posted on her blog recently. 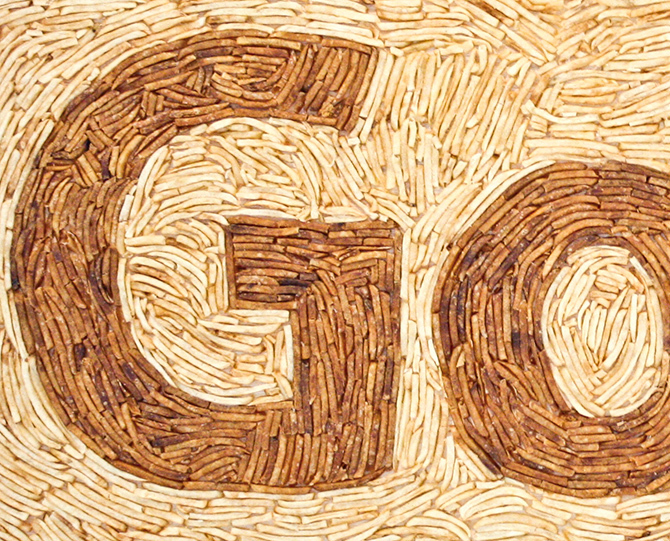 French fries write “gold” by Juan Camilo Rojas (via Design Taxi) — I wonder if the darker fries are just older or cooked longer, wanna take a bite to find out? 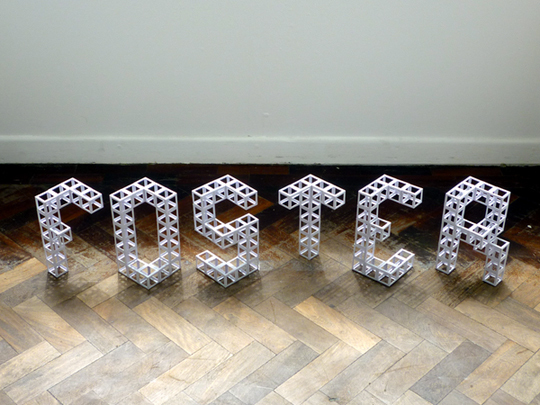 Plastic pieces write “foster” — wonder if suppose to be a verb or a noun? I am going to guess it’s referring to fostering stability. 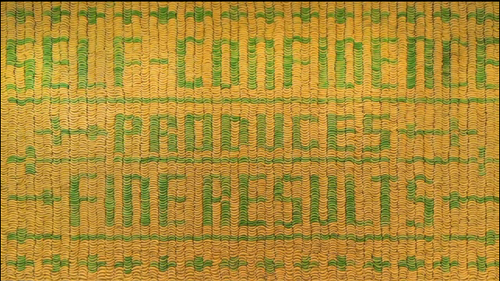 Bananas write “self-confidence produces fine results” by Stefan Sagmeister – this installation is so smart – it evolved over time as the bananas ripened. Think of how many bananas it took to assemble this? 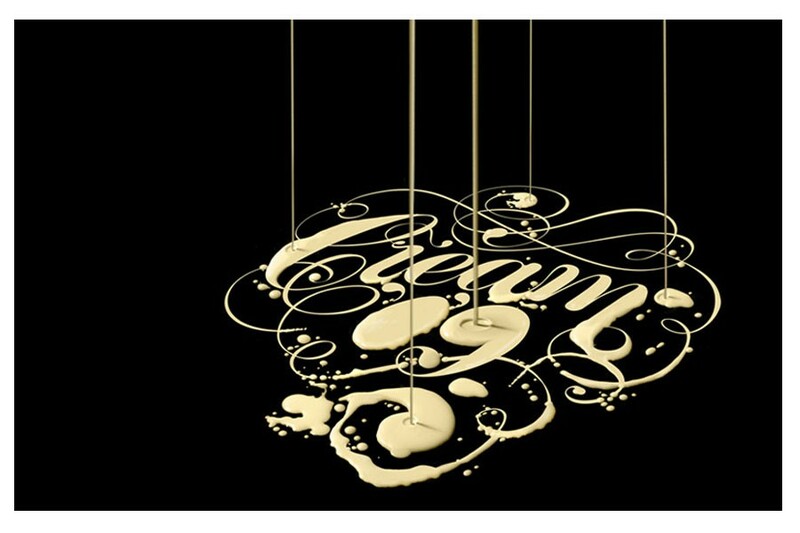 Cream writes itself (via Comm Arts) — this is just gorgeous, but how did he/she do it? Photoshop magic? 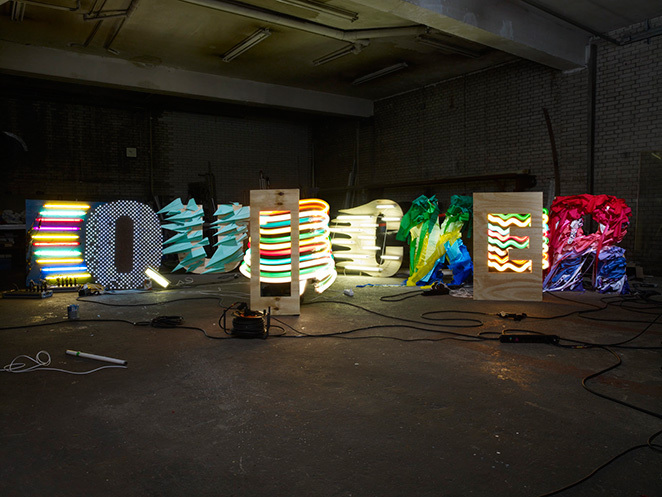 Unknown light installation — I can make out some of the letters but am not sure what it says, can you read it? 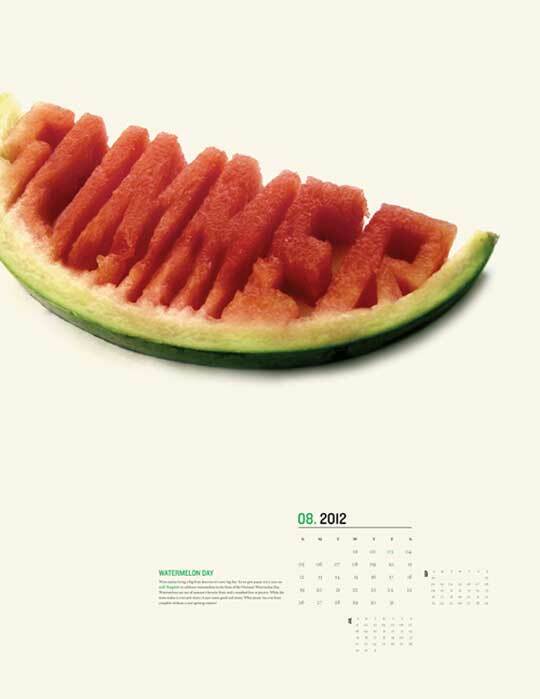 Or, maybe it’s not suppose to say anything…how artsy. 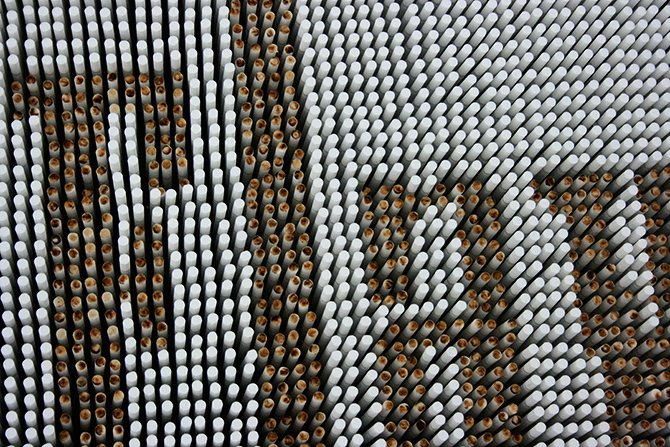 French fries and sauce write “Stefan Sagmeister” — what an eye-catching and slightly repulsive self-promotion poster…. mmmm, delicious! 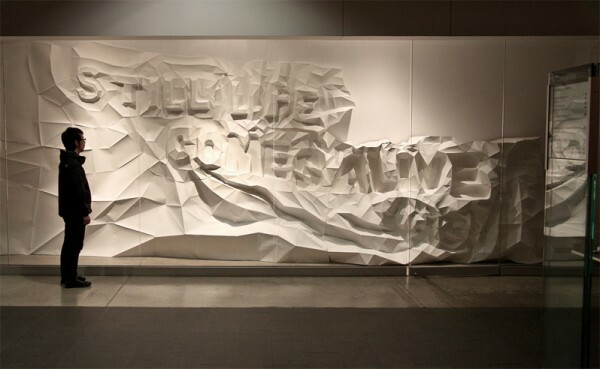 Unknown material write “still life comes to life” — need to find out who did this one and how they constructed it!